TAP NYC IS THE PLACE TOO BE!! TAP NYC IS THE BEST BREWERS FESTIVAL IN THE EAST COAST!!! Come Cheers some Beers and celebrate the end to your season. On April 26th OvRride will be bitting up the 18th annual TAP NEW YORK Craft Beer and food Festival!! 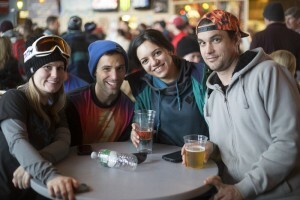 The Festival, held in and around the base of Hunter Mountain, is the largest and longest-running craft beer festival in New York State, catering specifically to NYS Craft Beers. 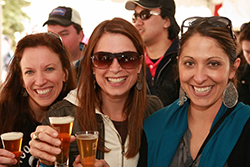 This Year you have the opportunity to taste over 350 beers from over 100+ Craft Breweries! With beer being poured by the brew masters themselves! So come out, Taste artfully-crafted beer and learn about your favorite brews!!! 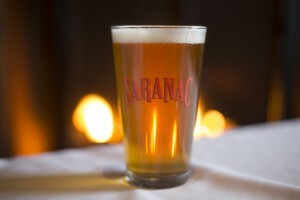 OUR GOOD FRIENDS AT SARANAC WILL BE THERE TOO, THEIR BREWERS ARE EXCITED TO HEAR YOUR FEEDBACK FROM ALL YOUR BUS TASTING THROUGHOUT THE YEAR!!! TAP INTO SPRING WITH OvRride!! This entry was posted in Chris's Blog, Events, Festival, Trips and tagged Hunter Beer Festival, Hunter Mounatin, Tap New York, Tap NY. Bookmark the permalink.